Midnight’s Children is a loose allegory for events in India both before and, primarily, after the independence and partition of India. The protagonist and narrator of the story is Saleem Sinai, born at the exact moment when India became an independent country. He was born with telepathic powers, as well as an enormous and constantly dripping nose with an extremely sensitive sense of smell. The novel is divided into three books. The book begins with the story of the Sinai family, particularly with events leading up to India’s Independence and Partition. Saleem is born precisely at midnight, 15 August 1947, therefore, exactly as old as independent India. He later discovers that all children born in India between 12 a.m. and 1 a.m. on that date are imbued with special powers. 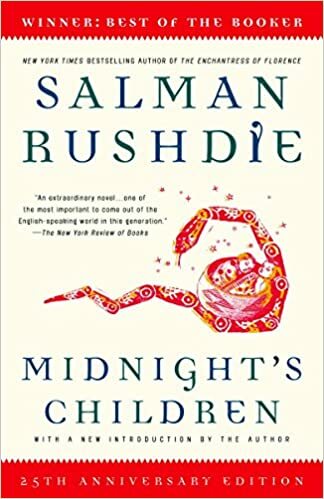 Saleem, using his telepathic powers, assembles a Midnight Children’s Conference, reflective of the issues India faced in its early statehood concerning the cultural, linguistic, religious, and political differences faced by a vastly diverse nation. Saleem acts as a telepathic conduit, bringing hundreds of geographically disparate children into contact while also attempting to discover the meaning of their gifts. In particular, those children born closest to the stroke of midnight wield more powerful gifts than the others. Shiva “of the Knees”, Saleem’s nemesis, and Parvati, called “Parvati-the-witch,” are two of these children with notable gifts and roles in Saleem’s story. Meanwhile, Saleem’s family begin a number of migrations and endure the numerous wars which plague the subcontinent. During this period he also suffers amnesia until he enters a quasi-mythological exile in the jungle of Sundarban, where he is re-endowed with his memory. In doing so, he reconnects with his childhood friends. Saleem later becomes involved with the Indira Gandhi-proclaimed Emergency and her son Sanjay’s “cleansing” of the Jama Masjid slum. For a time Saleem is held as a political prisoner; these passages contain scathing criticisms of Indira Gandhi’s over-reach during the Emergency as well as a personal lust for power bordering on godhood. The Emergency signals the end of the potency of the Midnight Children, and there is little left for Saleem to do but pick up the few pieces of his life he may still find and write the chronicle that encompasses both his personal history and that of his still-young nation, a chronicle written for his son, who, like his father, is both chained and supernaturally endowed by history. Sir SALMAN RUSHDIE is the multi-award winning author of eleven previous novels–Luka and the Fire of Life, Grimus, Midnight’s Children (which won the Booker Prize, 1981, and the Best of the Booker Prize, 2008), Shame,The Satanic Verses, Haroun and the Sea of Stories, The Moor’s Last Sigh, The Ground Beneath Her Feet, Fury, Shalimar the Clown and The Enchantress of Florence–and one collection of short stories, East, West. He has also published three works of non-fiction: The Jaguar Smile, Imaginary Homelands: Essays and Criticism 1981-1991 and Step Across This Line, and coedited two anthologies, Mirrorwork and Best American Short Stories 2008. His memoir, Joseph Anton, published in 2012, became an internationally acclaimed bestseller. It was praised as “the finest memoir…in many a year” (The Washington Post). His books have been translated into over forty languages. He is a former president of American PEN. The Satanic Verses is arguably Rushdie’s most famous book, perhaps because it was the one that landed a fatwa on his head, but this one is my favorite. Every, single, word, is delicious. As a warning, my mother, who is my best reader friend, found his style too florid. I, however, could soak in it until my fingers get pruny, and never get tired. If you like sagas, sarcasm, fated coincidences, and utterly beautiful, imaginative, lustrous writing, read this right away in case you get hit by a bus tomorrow. One of my top favorite books of all time. Rushdie mashes absurdity and reality together. His prose is unrelenting. His narrator gleefully rambles and digresses. The world of magic, the main story, and the parallel story of the Indian political landscape circle around one another till their inevitable collision. It’s easy to get lost in the multitude of characters, spanning across generations and nations. Just hold on — the pay off will come when Rushdie’s architecture of story and genealogy is revealed in a touching ending. Rushdie’s books are always a challenge and this one was the hardest one that I have read. That being said, he gives excellent views on the Asian world from a personal standpoint. His narrative about the birth of Indian and Pakistan were very vivid and revealing to someone who has just read a few lines in a history book about these major events. He had covered living in every place from a well-to-do home to a slum shack. He makes allusions back and forth in time that can be confusing. Despite it being a labor to get through it, after I finished this book, I appreciated it for being an amazing narrative.